The Fire-Breathing Medieval Dragon Dagger brings easily to mind the many tales surrounding the mythical creature that it represents. One can imagine the searing heat as the great beast unleashes another blast of fire on its enemies. The handle takes the shape of a medieval dragon. 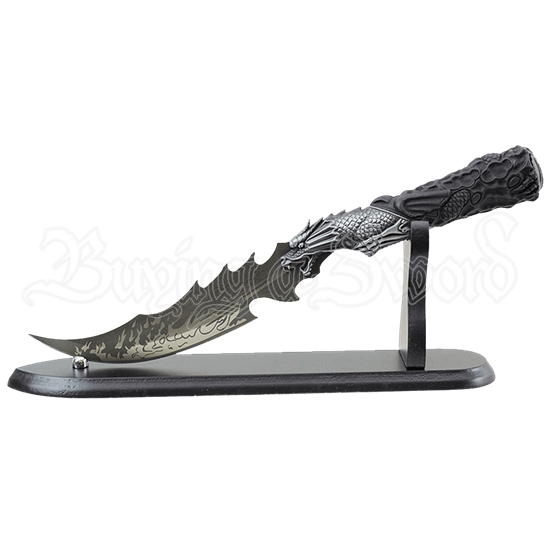 An etching of its fire breath decorates the serrated blade of the dagger. The detail of this decorative weapon is sure to please all who behold it. 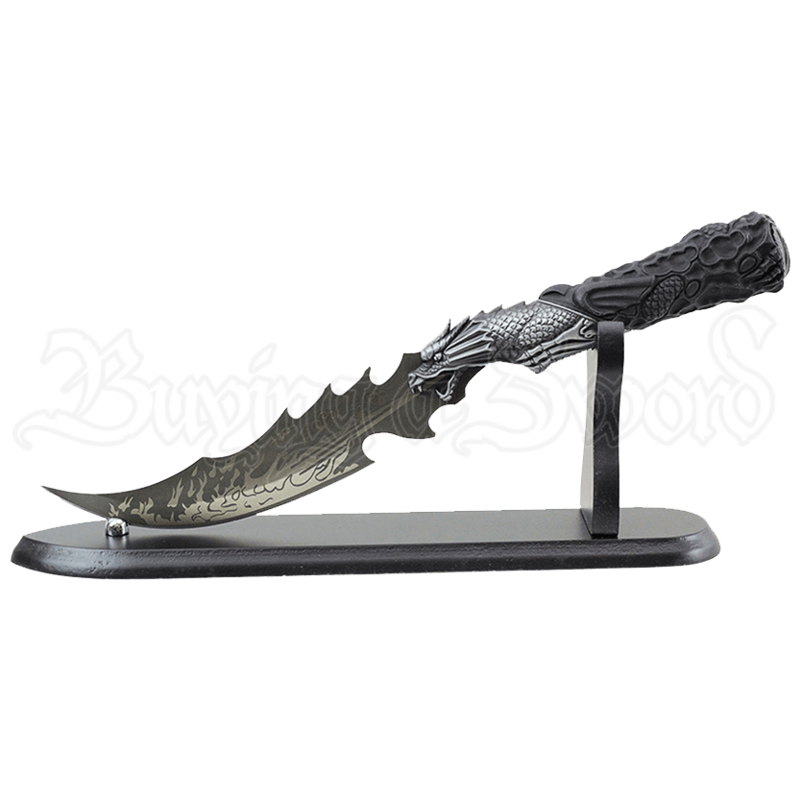 Add a dark touch to your home decor by displaying this dagger with its wooden stand.